Many of us are interested in saving money at the grocery store. Studies show that food is the third biggest household expense for many families after housing and cars. One of the key benefits we tout about The Dinner Daily is that we base your weekly menu on what’s on sale that week at your store (and we cover over 16,000 grocery stores in all 50 states.) We also say that families can save 20% or more each week on their food costs by having one of our customized plans, or more than $1,200 per year, for a service that costs less than $50 for the entire year. That’s a 20-to-one return – not bad! We were buying items to make four of the five dinners in our plan. We bought 18 ingredients for these four dinners, of which half were on sale which translated into savings of $27.23 out of a pre-sales total of $85.84, or 31% savings!!! Even better some of the things we bought were “Buy One Get One” sales or bigger quantities that we’ll use for future dinners. When you calculate in the extra food we bought, our net food cost for all four of this week’s Dinner Daily dinners is just $44.21! If you do the math, that works out to about $5.50 per person, which is about half the cost of a meal kit service like Blue Apron or Hello Fresh. (there were a few non-Dinner Daily items on the list that we’ve excluded for this calculation – none of them were on sale). And these were substantial dinners, no Sloppy Joes or Mac n Cheese! These were all dinners that you would feel good about putting on the table and eating. 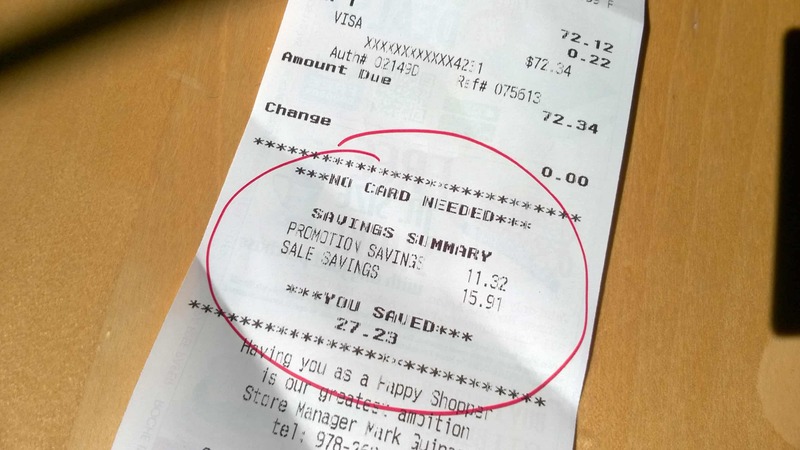 Now we would probably have bought a few things on sale by chance before, but we certainly would not had anywhere near 31% savings without the plan. And while the number of items on sale does vary from week to week, Roche Bros sales flyer is a good representative of what other subscribers at other stores would save on a normal week. This was a normal week of sales for Roche Bros. So its safe to say that we saved at least $25 this week, which adds up during the year to over $1200 in savings. If you think spending $50 to save $1200 sounds like a good investment, maybe its time to try out The Dinner Daily! Happy eating and saving everyone! Want to find how The Dinner Daily can help you with saving money at the grocery store? Learn more.